Why are some bird species considered a pest? 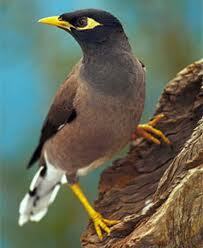 Some of the common pest birds are the Feral Pigeon, Indian Myna, European Starling and House Sparow. Pest birds will compete with native birds by taking their food and displacing them from their habitats. They are responsible for the spread of disease and weeds, making noise and mess, spreading parasitic bird mite as a result of their nesting material. Some onmnivorous feeders are scavengers. Bird droppings are a health hazard, they are not only unsightly, but dangerous with the potential for people to fall and slip on concrete surfaces, spores from dry faecal matter can spread through a building via air conditioning or other openings and resulting in harmful illnesses. Pest birds are responsible for damage to stock making it unsellable, damage to structures - gutters and roofs, loss in productivity time in commercial and shopping areas. Cleaning costs can become huge. Nesting birds can create secondary pest problems as they can attract rats, cockroaches and other pests. Bird droppings can also harbour bacterium such as Salmonella, which, if entering the food chain, can cause food poisoning. Pest birds can spoil or contaminate food stuffs with their droppings, feathers and debris. INTERESTING FACTS: did you know that the Indian Myna was introduced Introduced into Melbourne 1863, Northern QLD 1883 to control Locusts and Cane Beetles. 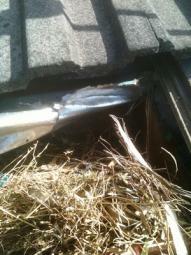 Pest bird proofing, management, prevention in domestic sites. A thorough site inspection and bird management proposal and plan is the first step. Austrapest may suggest Physical control methods include netting, installing spikes of various sizes, coils and wire along ledges are all designed to exclude birds from nesting sites. Contact us to discuss a customised pest bird management programin your home.